Hello stampers! I am so sad that we are nearing the end of August. It's not because the summer is coming to an end, but the Thoughtful Branches bundle goes away. 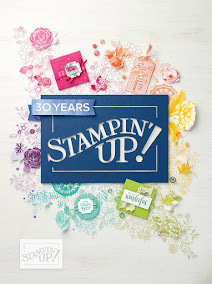 This is a limited time stamp set and maybe Stamping Up will bring it back in the future. Today, I decided to share a Christmas card. I was inspired by a card I saw on YouTube. I did do a couple of things different. For those of you who know me, then you will know that I represent the crater that has other products. I mostly use Stampn' Up these days, but there are a couple of companies I like to refer to every once in a while. 1. To create the background, I used a cloud edgelit (another company) to create a snowy hill mask. I started with Soft Sky ink to start shading in my sky. I used the Marina Mist ink to shade in the dark blue portion of the sky. 2. Stamped trees in the background in Marina Mist. Used the generational stamping technique for the trees in the background. 3. Stamp the grass using Versamark ink and emboss with white embossing powder. 4. Using the Beautiful Branches framelits, cut the tree out of Dazzling Diamonds Glimmer Paper. Adhere to card. 5. 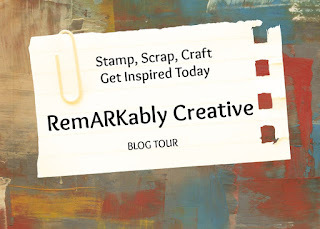 Using the Tin of Tags stamp set, stamp with sentiment with Marina Mist ink. 6. Using the Fine Tip Glue Pen, place a thin layer of glue to the embossed grass and along the border of the white snow. Add dazzling diamond glitter for some added sparkle.